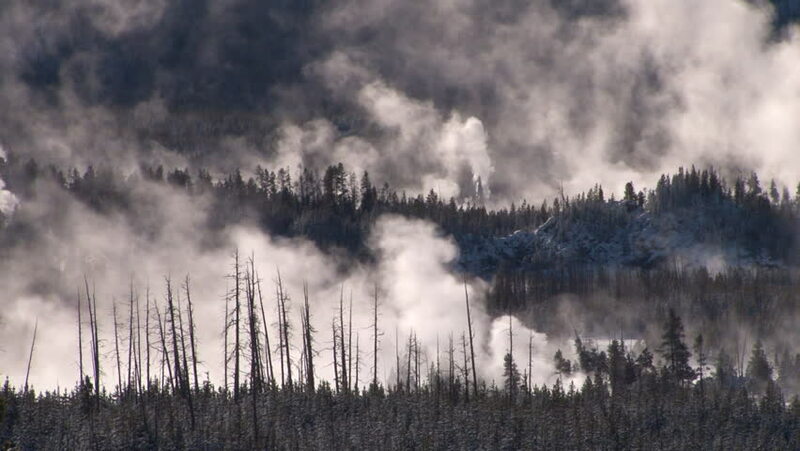 CIRCA 2010s - A geothermal region in Yellowstone National Park in winter. 4k00:20silhouette landscape Reflection of trees from the water. Foggy sunrise. Autumn landscape on the lake.Tranquil landscape of misty swamp.Little island with trees. Chiang Dao district, Chiangmai, Thai. hd00:45view from the window of a passenger train. A typical winter Russian winter landscape moves outside the window. 4k00:15Morning mist over the autumn meadow gradually dissipates after sunrise. Timelapse.